Pool is now Open, Motivated & Ready for New Owners! $600k+ invested. This is a 4,608 sq. ft. 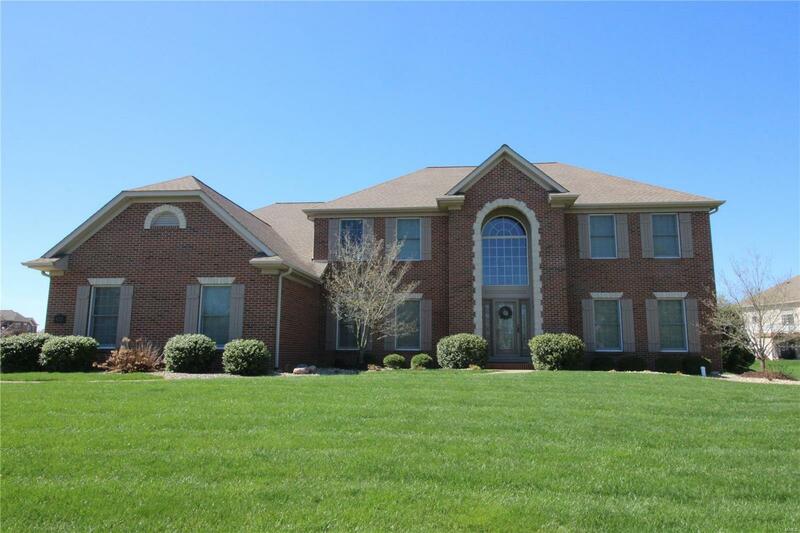 Above Ground 2-Story with 4-6 Bedrooms, 5 Baths, Full Semi-Finished Basement & low maintenance Heintz constructed Heated Saltwater Inground Swimming Pool with Beautiful Landscaping! Open Layout between Great Room, Breakfast Area & Kitchen. Much maple cabinetry, granite counters, stainless Kitchen-Aid appliances (gas range), island, & large pantry in kitchen. Dining Room, Study, Playroom / Office (could be 5th Bedroom), Laundry Room & 2 Half Baths on Main. Upper Level includes 4 Bedrooms, 2nd Family Room (could be 6th Bedroom), 2 Full Baths & 3/4 Bath. Lower Level is Semi-Finished (potential additional 1,554 sq. ft.) & includes dedicated storage area. Premium Anderson Wood Windows throughout home. Tankless Water Heater, Zoned HVAC, Sump Pump, Security & Irrigation Systems, Surround Sound Speaker System & 3 Car Garage. Covered Paver Patio, Walkway & Wonderful Pool Area & Landscaping! Agent Owned.